I made this side dish to accompany the pork chops and creamy mustard dish. The entire meal can be made in less than 30 minutes. What I like about this is you can put the veggies in the oven and work on your pork chops that are in the skillet. Multi-tasking at its best. Preheat oven to 400 degrees. 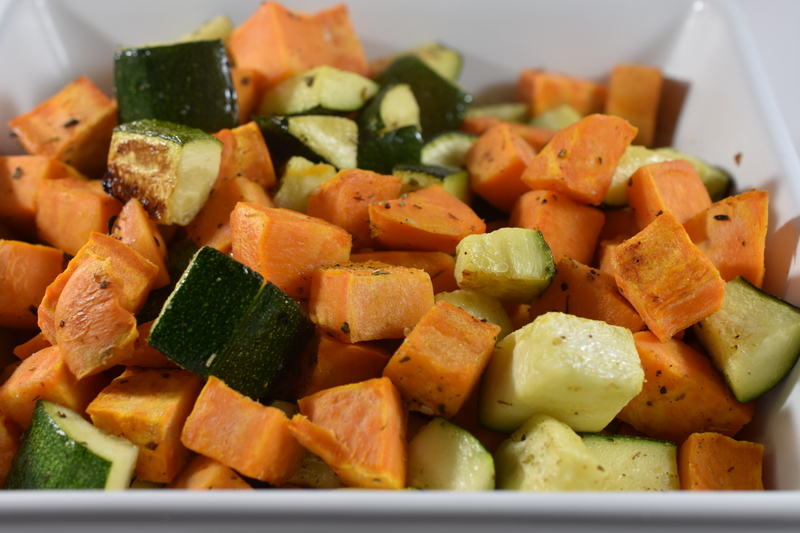 On a large sheet pan spread out sweet potato and zucchini. (Drizzle olive oil on veggies.) Sprinkle seasoning. Stir to make sure all veggies are coated. Roast in oven for 10 minutes. Stir veggies and roast for another 10 minutes. Serve. Eat. Enjoy.